For a lot of people, going to college is the first time they have lived away from home, and this gives way to a lot of other firsts – from the first time they have to budget for a grocery shop, to the first time they have to do their own laundry. If the latter is true for you, here are our top tips. Everyone makes this mistake at least once; chucking all their clothes in the same wash and then being shocked that it all comes out looking a little pink. There’s a reason your mom separates the washes. Make sure you wash all the white clothes together, all the dark or black clothes together (which will be most of your wardrobe if you’re anything like us!) and your colored clothes together. You’ll thank us when your white shirts stay white! Some clothes will have specific ways that they need to be washed, and these are detailed on the labels. 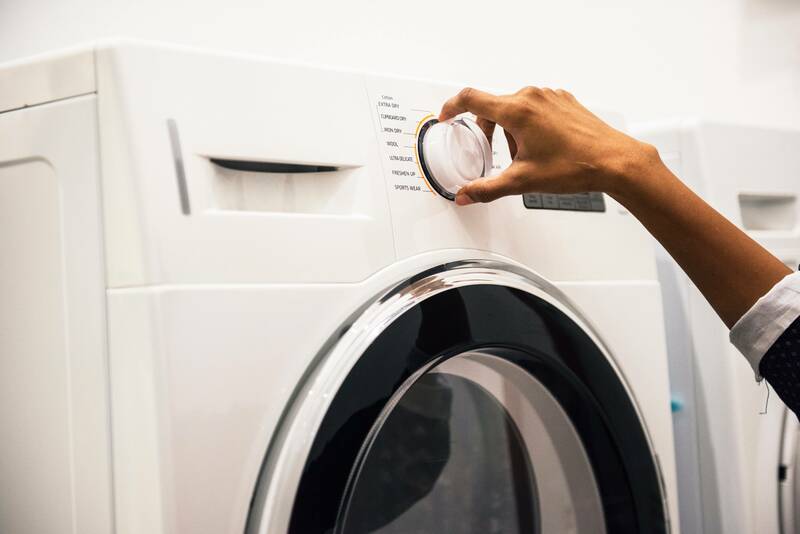 For example, it will tell you whether they have a maximum washing temperature, whether they can be put in the drier or ironed, or even if they have to be hand-washed or dry cleaned only (ugh!). Failure to follow this information can really ruin your clothes, so make sure you check and then double check! A mistake a lot of people make at college is waiting for their laundry to pile up and they are left with just the worst of their wardrobe that they usually wouldn’t be caught dead in. The more you put it off, the more you are likely not to want to do it, so try to get in the habit of doing a load or two every week. That way you won’t have to spend the whole day doing laundry, and you can make a routine of it so you’ll always have clean clothes! If you take something out of the dryer a little early and it’s even a little damp, it can really start to smell and even get mildew. Whether you are hanging them to air dry or using a dryer, it’s essential to ensure every item is thoroughly dry before you put it away. 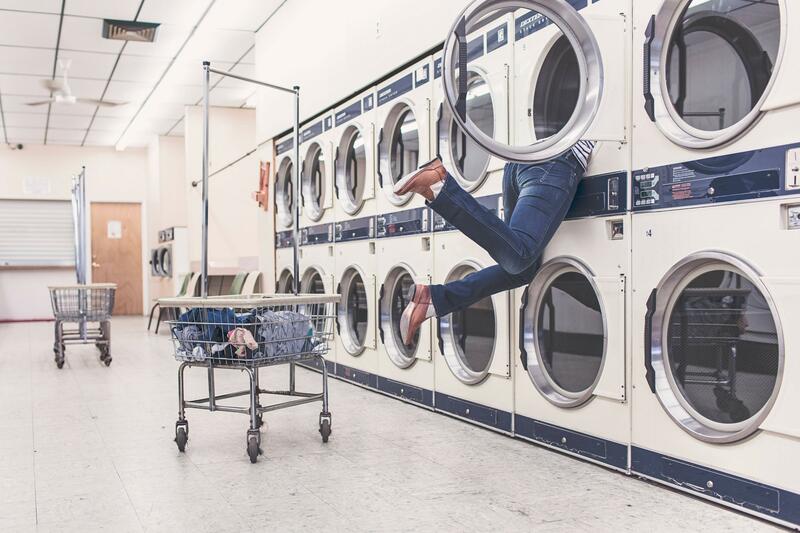 If you overfill the drier and the clothes don’t have enough room to tumble, they won’t dry, so don’t think you are saving time or money by squeezing too much in! If you don’t want to have to iron everything you own every time you go to wear it, you can help reduce wrinkles by folding them as soon as they are dry. Get into the habit of folding them out of the dryer and putting them in your bag or basket. You’ll thank yourself in the future when you get up late and don’t have time to iron! If all else fails, just pack it up and take it home to your mom on the weekend and ask her nicely to do it for you!